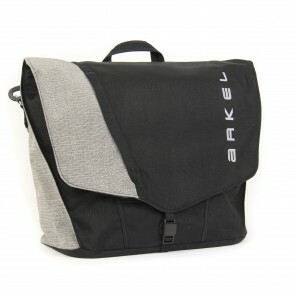 Are you looking for a bicycle pannier to carry your work clothes, lunch and perhaps a laptop? 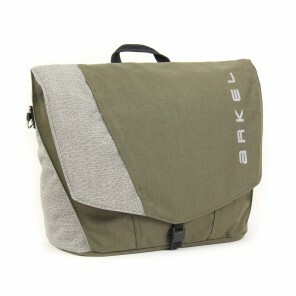 We have a great selection of commuter panniers that will do the job. 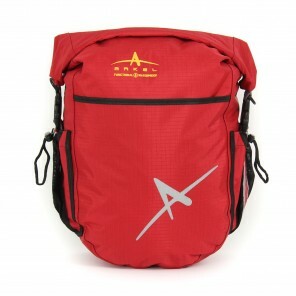 If you prefer to ride with a backpack, consider our Cycling Backpacks. Some are completely waterproof like our DryPack or our SIGNATURE D. Some can even be combined with our very popular Randonneur Seat Post Rack should you choose to get the load off your back. 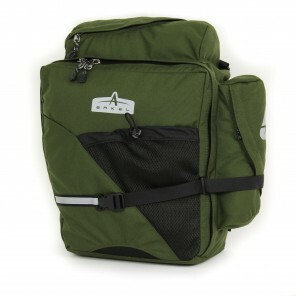 All our commuter panniers come equipped with our patented Cam-Lock® mounting system that ensure the panniers will never come detached from the rack. 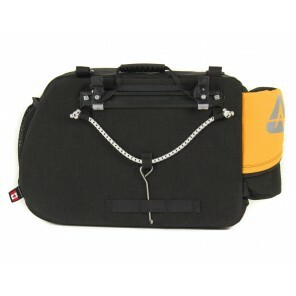 If you are carrying a laptop, using a solid mounting system is perhaps the most important feature. Our adjustable hooks and track are made of aluminum not plastic. Plastic can bend, crack or break under heavy loads or cold weather conditions. Compare our Cam-Lock® with other mounting systems and you will easily understand why our Cam-Lock® is so trusted. 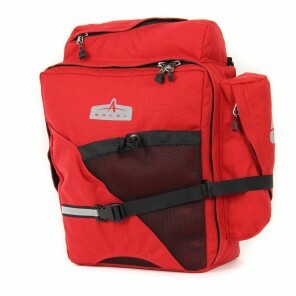 Are you looking for bike panniers that could be used for your commute as well as some occasional weekend tours? 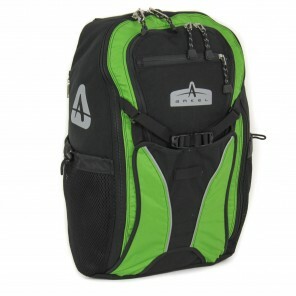 In this case, choosing a set of front bike panniers or a very convenient single pannier backpack would be your best option. 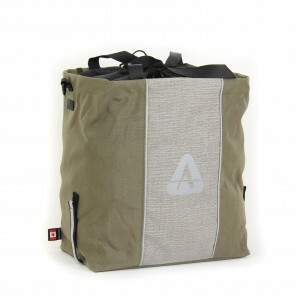 The smaller front panniers will work well for your weekly bike commute; or ride with just a single pannier depending on the amount of gear you carry. 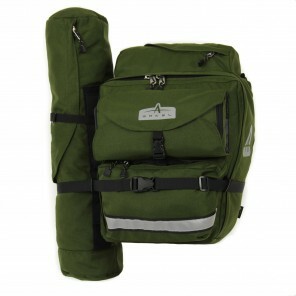 This set up is very versatile and the smaller front panniers are usually adequate for weekend tours. 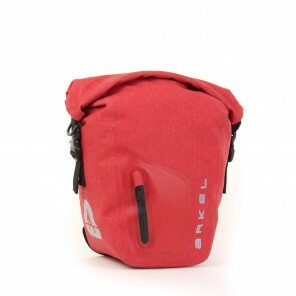 Also don’t forget that front panniers can always be used as smaller rear panniers. 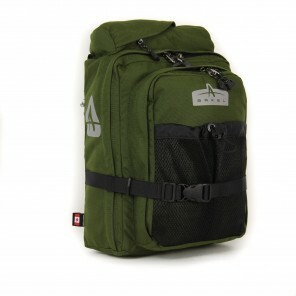 A single pannier backpack is another great option. 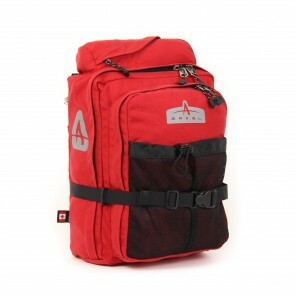 These are probably the most versatile panniers that we offer and the backpack feature is great whether you are commuting or going out on a short weekend tour. 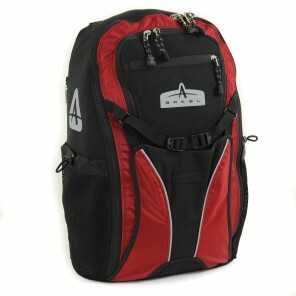 Is waterproofness your main concern over organisation and ease of use? 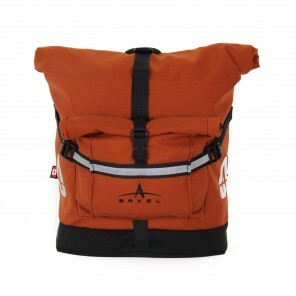 In this case our Dolphins or ORCAs waterproof panniers will address all your needs and more. 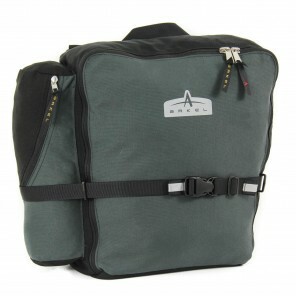 These fully waterproof panniers are similarly equipped with our patented Cam-Lock® mounting system make these the best waterproof panniers on the market. 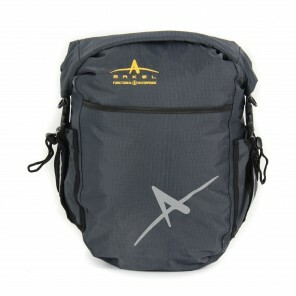 The Dolphin Series are sewn but all the seams are taped making these bags completely waterproof. 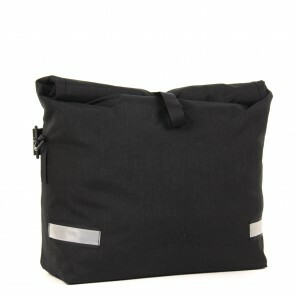 This method of construction enables us to make a waterproof pannier with exterior pockets. 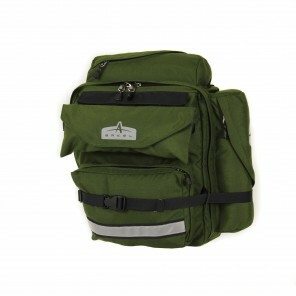 Taping the seams limits us in the shape and number of pockets but nevertheless these are the most practical waterproof panniers manufactured. 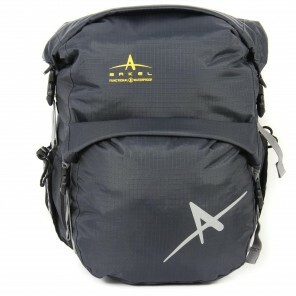 Our ORCA series is not sewn but rather welded with radio frequency (RF Welded). 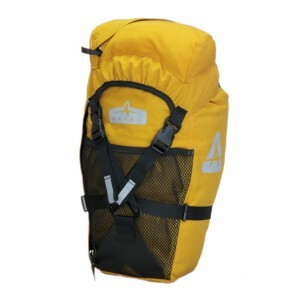 This is the same manufacturing procedure used for submersible dry sacks for travel by canoe. 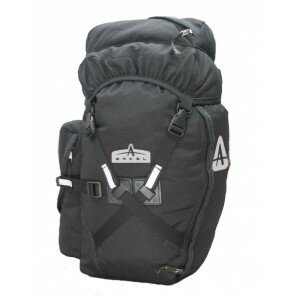 Adding exterior pockets to RF welded panniers is very difficult that is why they usually consist of one main compartment and all your gear is stored in it. 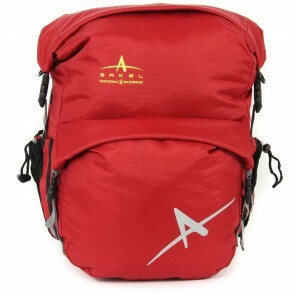 RF welded panniers are designed for waterproofness, that is their main objective and this feature is higher in the priority list than functionality and ease of use. 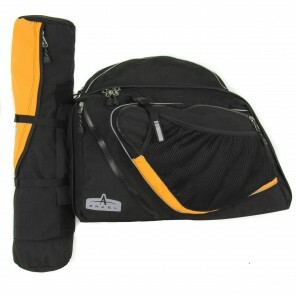 You’ll be touring and organisation and ease of use is your main concern over waterproofness? 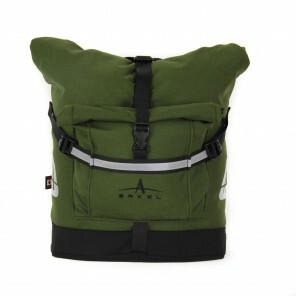 Being able to have easy access to smaller items packed inside your panniers is sometimes quite practical and this is only possible with classic panniers which are sewn and equipped with zippers and pockets. 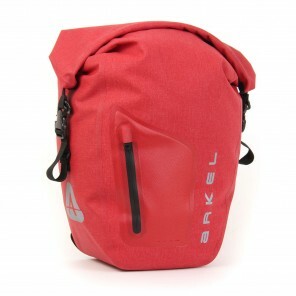 Here accessibility comes before waterproofness but waterproof protections can easily be added with internal dry bags and rain covers. For some this is the preferred choice. 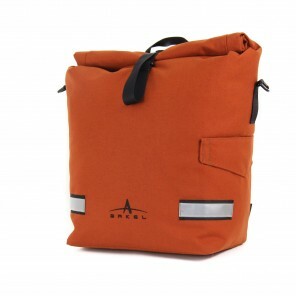 Because the panniers are not sealed, they can breathe. Any moisture trapped inside the bag from a wet piece of clothing, will eventually dry out. This means the inside is less prone to mildew and odour. 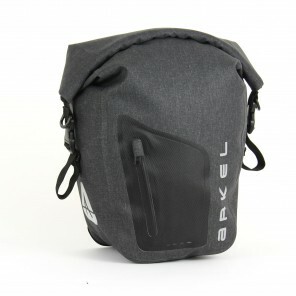 If you take care in packing and organizing your gear in dry sacks and use the optional rain covers, these panniers will provide more than enough rain protection. 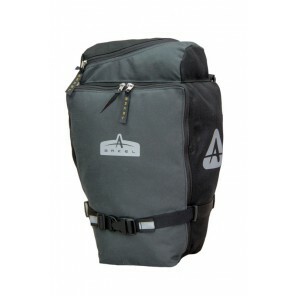 Are you looking for mountain bike specific panniers for bikepacking? Mountain bikes usually have shorter chain stays. Chain stay length is the distance from the center of the bottom bracket to the centre of the rear axle. Shorter chain stays provide less space between your heels and the panniers. That could cause your heels to strike the panniers. 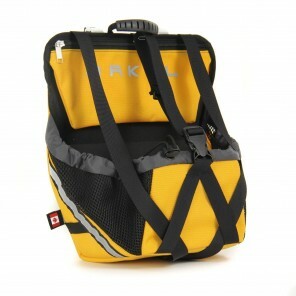 Our mountain bike panniers are designed to fit bikes with short chain stays. The panniers are taller and narrower than our regular touring panniers. Stability is very important. 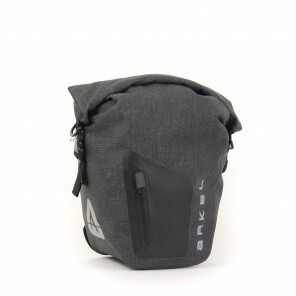 That is why our XM panniers have X shape compressions straps, which hold the load tight against the rack minimizing the floppy feeling you might experience with standard panniers on a rough single track trail. 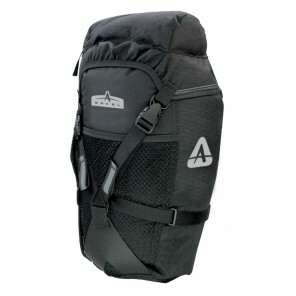 Finally, our Cam-Lock® mounting system will keep the bag on your rack regardless of the conditions. 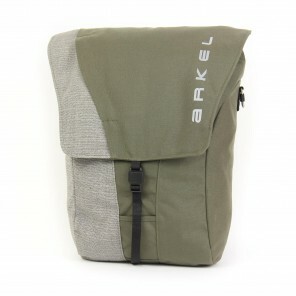 Are Arkel panniers compatible with all bike racks? 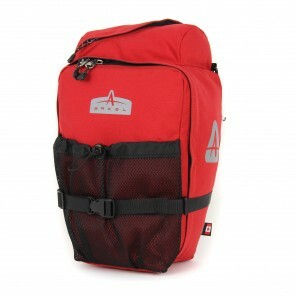 Once you have chosen your panniers, you will need a good bike rack. 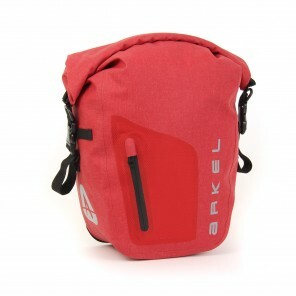 Our bike panniers will fit the majority of racks but this being the bike industry, there are a few exceptions. Our Rack Fit Guide can be a useful reference but if your rack is not listed, please email us the make and model of the rack that you are currently using and we will be happy to confirm that the fit is sound. Rack compatibility is a common question that we answer almost every day. 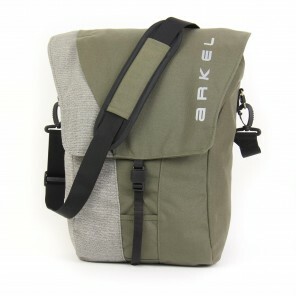 We’ll be happy to assist you and make sure your Arkel pannier works well with your rack. 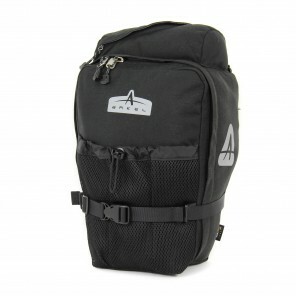 We offer rear pannier racks and front pannier racks from Old Man Mountain as well as our AC LowRider front rack and of course our innovative Randonneur Seat Post Rack with compatible bags. 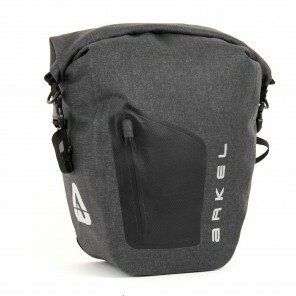 What type of pannier mounting system does Arkel use? We use two types of mounting systems; the first and most popular is our Cam-Lock® self-locking mounting system and the second is our manual hook system. We designed and have patented our cam-lock® mounting system. 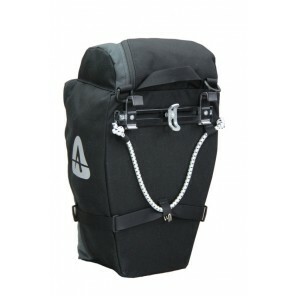 The mounting system is vital to the function of a bike pannier. 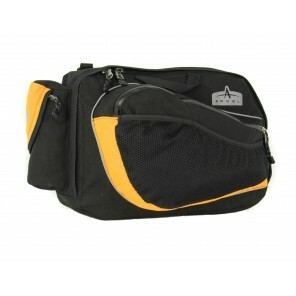 They are many types of mounting systems in the bike pannier world, usually made of plastic. Unfortunately plastic can bend or break under heavy loads. The properties of plastic can unfortunately change with temperature leading to failure. We use aluminum hooks capable of sliding and locking into place on aluminum tracks for adjustability. We use bolts rather than rivets for ease of service with the average bike tool. Our Cam-Lock® will perfectly adjust to the rack without the need for additional shims. It will fit rack tubing of 8 mm to 15 mm. 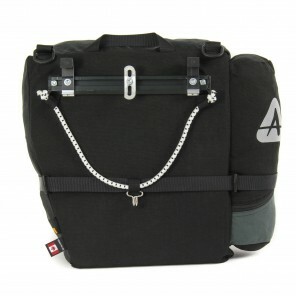 The Cam-Lock also has a lower hook and bungee attachment to help stabilize the panniers. 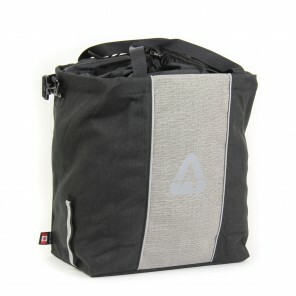 The system is so secure that it can work well without the lower bungee and hook assembly as is the case on some of our commuter panniers. 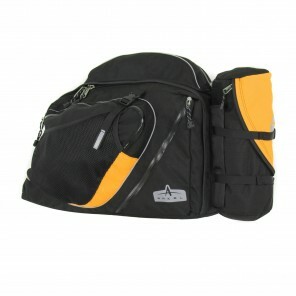 Typically these panniers are used over shorter distances where the most desired feature is quick attachment and removal. 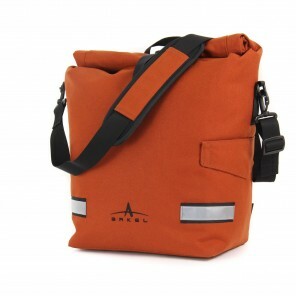 Our manual hook system is used on our B Series panniers. The goal here was to reduce cost while still offering an easy to use and solid mounting system. In some cases, when our Cam-Lock® is not compatible with certain racks, our manual hook system can be used. You get the same aluminum hooks and aluminum tracks as with our Cam-Lock® but in a simpler design.